A B-2 Spirit bomber sits in the Benefield Anechoic Facility Nov. 28, 2016, preparing to undergo environmental control systems checks. 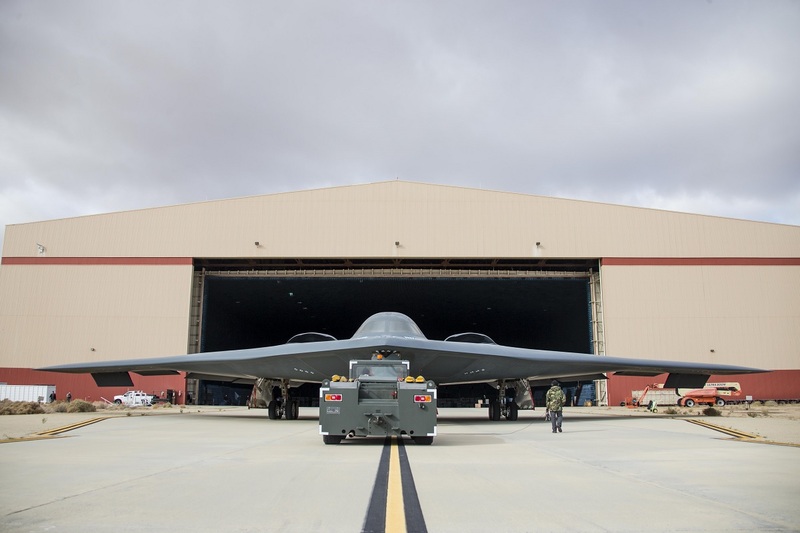 Released earlier this month and taken in November 2016 at Edwards Air Force Base (AFB) the interesting photos in this post show a B-2 Spirit stealth bomber being backed into the (Benefield Anechoic Facility) BAF to undergo environmental control systems checks. Noteworthy the B-2 stealth bomber entered the BAF for the very first time during this testing. 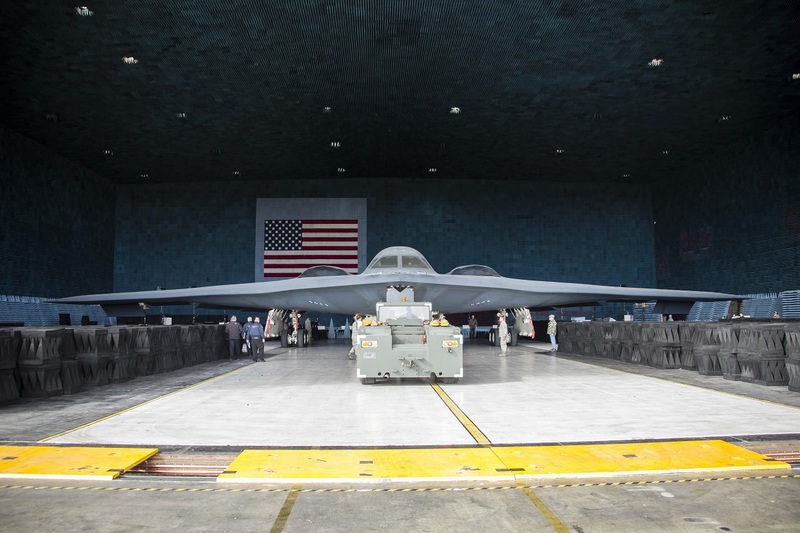 As reported by Kenji Thuloweit, 412th Test Wing Public Affairs, in his article BAF team readying for stealth bomber testing, the BAF team spent a year preparing for and installing new equipment for the B-2’s maiden entrance into the anechoic chamber. 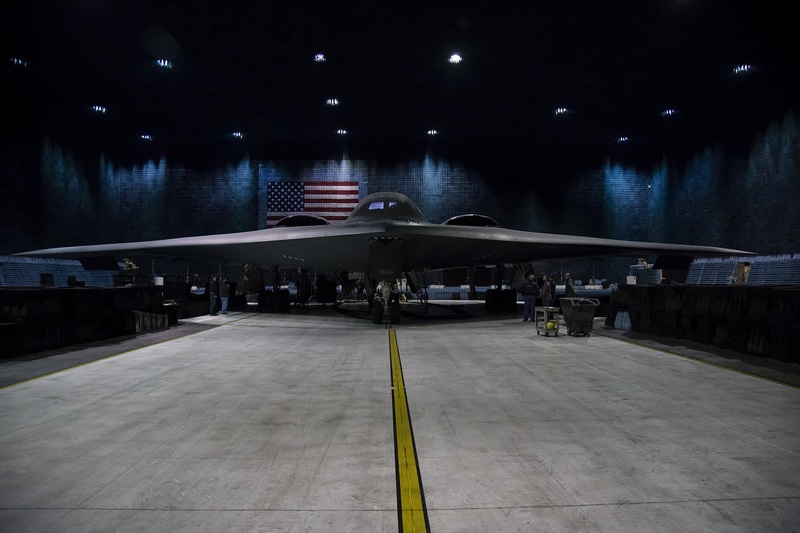 The BAF plans to host the B-2 for future electronic warfare testing. A B-2 Spirit bomber is backed into the Benefield Anechoic Facility Nov. 28, 2016. Completed in July 1989, the BAF continuously conducts electronic warfare testing on all types of aircraft, from U.S. Air Force (USAF) aircraft to allied nations aircraft. The chamber is filled with polyurethane and polyethylene pyramids — radar absorbing material — designed to stop reflections of electromagnetic waves. The size of the pyramids, which are painted dark blue or black, varies depending on the particular frequency and test procedure being conducted. Aircraft systems can be tested and verified that they work properly prior to actual flight test.